Overcoming a crazy ex-wife in the attic is not easy. One reason romances are so often criticized is because they are too often convenient. Truthfully, tragedies and dark domestic dramas are often also too convenient. But human beings have been unfortunately trained to find happy endings more convenient (and thus supposedly unrealistic) than lots and lots of dead bodies (when, in truth, most people get up in the morning, run errands, go to work, walk the dog . . . ). The classic romance plot creates odds that the couple must overcome. And sometimes the overcoming is a bit too easy. The particular Christian romances I am reading  are evangelical, meaning that divorce of the unhappy couple (so that the happy couple can get married) is frowned upon. This type of solution is rather distasteful, and most romances avoid it. However, the alternative is so outrageously convenient, it becomes hilarious after awhile. The alternative? All the inconvenient people die. 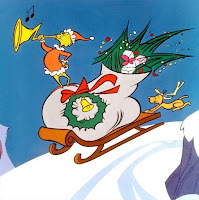 Slews of them! They drop dead like insects in one of those zapper things. Horrible husband--zap! Horrible wife--zap! Watch out: there goes another one. Jane Austen never did that. And she lived in a time when it was far more likely for people to die at the literal drop of a literal hat. But she doesn't kill off the dastardly Wickham. She doesn't even kill off the flighty Lydia. She doesn't kill off the horrible father in Persuasion. She doesn't kill off the snide chick in Mansfield Park. She doesn't kill off anyone in Northanger Abbey (who isn't already dead before the book begins). I believe someone conveniently dies in Sense & Sensibility, but it was her first book, and she doesn't kill off the real villainness, Lucy Sharp (although she does marry her off conveniently; again, it was her first published book). Nobody dies in Emma or in Pride & Prejudice. People are left unhappily breathing to work their way out of their problems. The evangelical romances attempt to tackle this lack of character realism by occasionally having its bad guys get saved. True to form, Jane Austen rarely did this. Wickham may be sorry that he married Lydia, but he goes right on trying to charm everybody in sight despite the fact that everybody in sight knows what he did. The bad-tempered father and daughter in Persuasion never fully grasp what happened. General Tilney in Northanger doesn't change one iota. Willoughby in Sense & Sensibility is only sorry that he couldn't marry for both money and love. All the unhappy people in Mansfield Park stay unhappy. (And the ambiguous people stay ambiguous. It isn't my favorite of Austen's books, but I do think it is her best.) And Emma contains merely self-serving people, not bad ones. For Jane Austen, change always centers on the hero and heroine. They are the ones who react, change, grow, learn from the experiences around them. In real life, of course, everyone else would be reacting, changing, growing, learning, but one of the conventions (not conveniences) of fiction is that we watch the world through a few eyes, not through the experience of humanity as a mass (no, not even Tolstoy could do that). This business of change, however, brings me to another romantic convenience: instant change. In romances, the change is often a moment of recognition: the hero or heroine recognizes his/her true feelings. 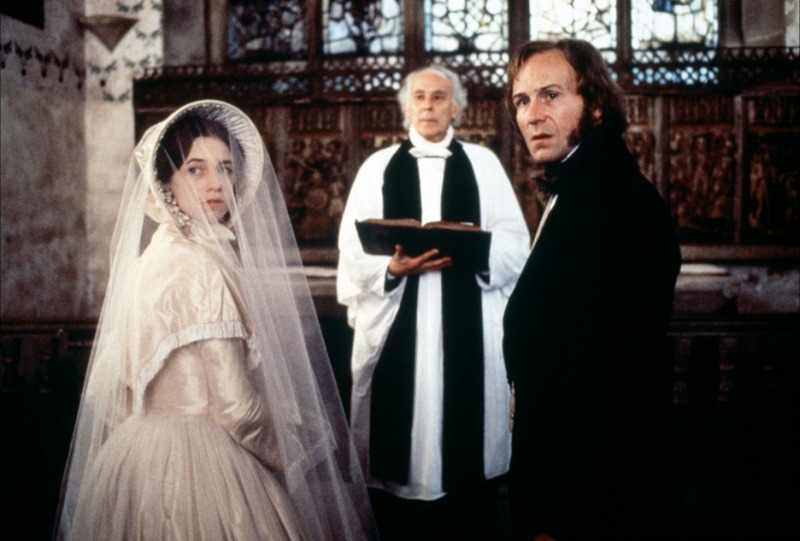 Darcy undergoes this when Elizabeth taunts him, saying that a "gentleman" would not have proposed to her by criticizing her family. However, Darcy DOES NOT have that moment of revelation, and then, hey, presto, everything is okay. In fact, Darcy writes his "angry" letter to Elizabeth first. 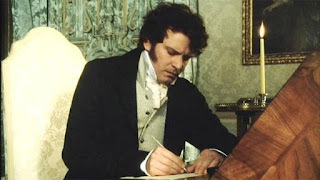 (Darcy later apologizes to Elizabeth for the letter, but she responds that although it started out angryish, it ended graciously). His pride is hurt. He has to process his reaction to Elizabeth before he can admit that he behaved badly. In too many romances, the moment of revelation is instant, unprecedented by any believable set-up and resulting in almost immediate pay-off. The Christian romances I'm reading are particularly annoying here. The moment of recognition often occurs when the hero or heroine is saved (therefore, making said hero or heroine worthy of love). Now, I will admit that my "eerk" reaction is not just due to the convenience. I don't believe in one single moment of grace, prior to which a person did not accept the Savior and after which, did. I believe people struggle along and that one's life is an accumulation of choices. Instant revelation also bothers me as a writer and a reader. Fact is: endings are HARD. It's HARD to be constructive. It's HARD to work out problems intelligently. It's HARD to set up change and then pay it off effectively. That's why we Jane-ites worship Jane Austen. She went for the happy ending, but she didn't do it easily! Now, I am not talking to the writers of romances who are simply trying to churn out formula, so they can make a living. Hey, more power to ya, folks. I am talking to those people who want to write character-driven romances and write them well. In a later post, I'll discuss why the HEA (Happily Ever After) is a respectable solution (after all, tragedy plays its own games with convenience). The challenge is to make the HEA not only heart-warming but plausible.